Roboteq’s HIM2360 is a features-packed, high-current, controller capable of driving two AC Induction motors at up to 60V and 75A per channel. The controller can operate in one of several modes in order to sense the rotor position and sequence power on the motors’ 3 windings in order to generate smooth continuous rotation. The controller also uses the Encoder information to compute speed and measure travelled distance inside a 32-bit counter. 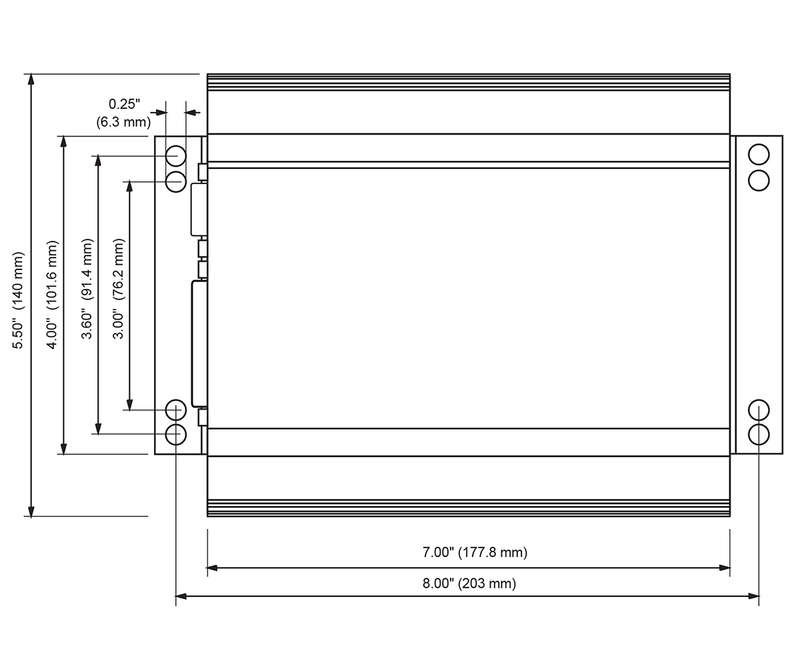 The motors may be operated in open or closed loop speed or torque modes. 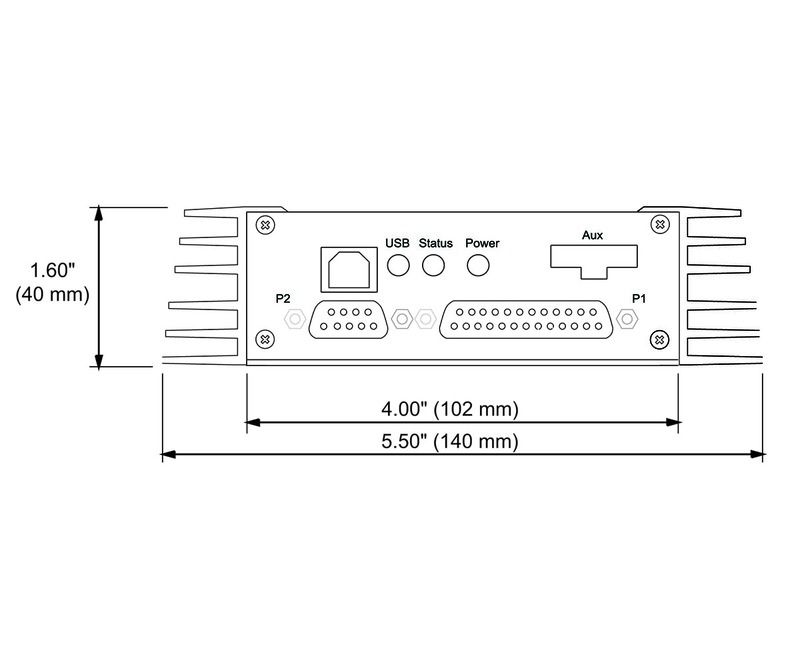 The FIM2360 features several Analog, Pulse and Digital I/Os which can be remapped as command or feedback inputs, limit switches, or many other functions. The FIM2360 accepts commands received from an RC radio, Analog Joystick, wireless modem, or microcomputer. For mobile robot applications, the controller’s two motor channels can either be operated independently or mixed to move and steer a vehicle. Using CAN bus, up to 127 controllers can be networked at up to 1Mbit/s on a single twisted pair. Numerous safety features are incorporated into the controller to ensure reliable and safe operation. The controller's operation can be extensively automated and customized using Basic Language scripts. 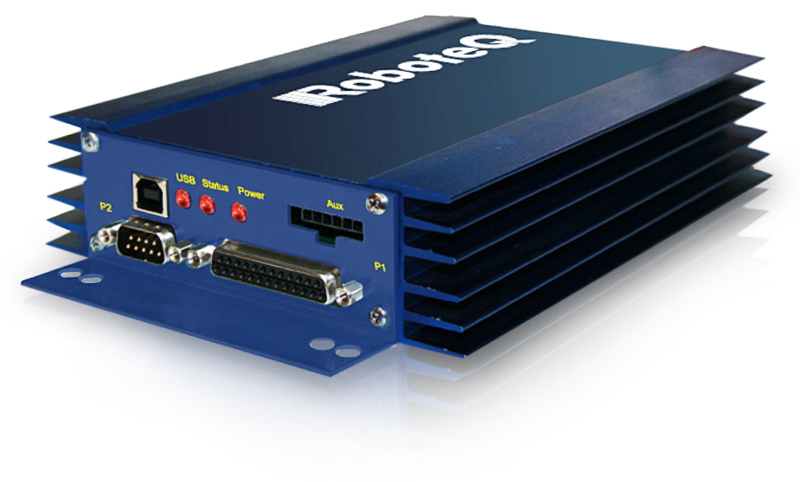 The controller can be configured, monitored and tuned in realtime using a Roboteq’s free PC utility.